Volunteers for this department should be friendly and work well with others. This department focuses on making the convention accessible for everyone. ASL background is a plus. Keep order in the Artist Alley by ensuring that both artists and attendees are following the Artist Alley rules. Assist Artists and attendees in finding booths and answering Artist-related questions. (Formerly Merchandise) Volunteers will staff our merch booth, greet customers, and work with our AWA merch inventory. Members of this department take care of the day to day tasks of running a convention. Help organize and run various cosplay events at the convention, including the Costume Contest. Volunteering in the Cosplay Department is an all-day affair on Saturday of the convention. Looking for responsible, friendly individuals that can assist with crew registration, office tasks, and check on the well-being of their fellow crew members. Volunteers in this department will be customer service oriented, with duties such as maintaining access control during business hours, loss prevention, vendor relations and answering attendee questions in a professional manner. Punctual and enthusiastic volunteers needed to help keep the schedule on track and assist panelists as needed. Fashion loving volunteers needed to prep fashion events and assist models and designers as needed. We are looking for outgoing, happy people who can assist with meal prep, food handling, deliveries, serving, clean-up, and additional miscellaneous tasks as assigned. Foodservice or Hospitality Experience preferred. Volunteers for this department will be expected to manage and follow the day to day schedule of activities of an assigned guest. Positions in this department require careful attention to detail, and a professional and respectful demeanor at all times. Formerly Baby Lounge and Con Suite. Volunteers staff the baby lounge, a place for parents to decompress with their small children, and help feed volunteers throughout the weekend. Must be willing to prepare food and make food deliveries to crew. Charismatic individuals that can help answer questions and direct attendees as the need arises. Butlers and Maids in the Kuma Kuma Maid Cafe serve food and entertain guests of the Maid Cafe with various games and performances. This department is looking for people who can check bags and assist attendees looking for specific manga. Volunteers in this department should be charismatic individuals willing to interact with attendees and help promote the convention. Volunteers in this department should have great communication and organizational skills. Panda Ops volunteers should be willing to learn new tasks as given, and coordinate lines and door entry. Experienced event photographers and videographers wanted. Portfolio review for photographers is required. For videography, we welcome people that have basic understanding of photography and can follow rapid fire directions. As part of the press relations department, you will check in pre-approved press and industry members. You will also be required to note any questions that may arise throughout the weekend. The Public Safety department requires responsible individuals that can handle access control, policy enforcement and general public safety. You must be customer service oriented, and capable of keeping calm and collected in all situations. Help design and distribute signs around AWA. Registration needs individuals that can help prepare and sell badges to attendees at the door. As a member of the registration team, you will also help with data entry and prep work during the convention. Special Projects is looking for people to staff special events, such as the Formal Ball. If you like board games, card games, role playing games, and well, any game that you don’t play on a screen, then Tabletop is the place for you! We are looking for fun and nice crew who are interested in helping create an enjoyable experience for our attendees. Some responsibilities for crew include; managing gaming library, running/teaching games, helping judge tournaments, monitoring rooms, and more. The Technical department is looking for people who like to work with their hands that are looking for a challenge and willing to learn. Able to handle some heavy lifting. Video Art crew members help run the The Video Art Track. Our medical services are managed by Usagi Medical Group. We will post details on how to join them soon. Challenge friends and family in relationship destroying tournaments! Crew members in Video Gaming help run tournaments and keep the crowds under control. Duties also include maintaining games and consoles. Video Room crew members handle showing everything from live action to classics to never before seen premiers. 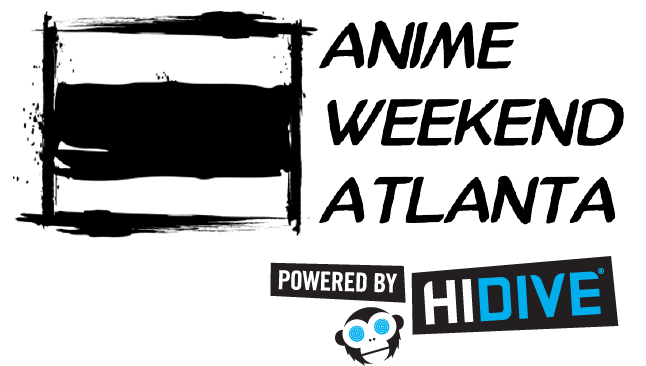 We help put the anime in Anime Weekend Atlanta, one play button at a time. We’re looking for individuals that can follow a predetermined schedule, coordinate lines and doors to certain showings.